A funny, poignant tale for readers of The Curious Incident of the Dog in the Night-Time. At twenty-seven, Lucy knows everything about coffee, comic books, and Gus (the polar bear at the Central Park Zoo), and she possesses a rare gift for drawing. But since she suffered a traumatic brain injury at the age of three, she has had trouble relating to most people. She's also uncommonly messy, woefully disorganized, and incapable of holding down a regular job. When her father's unexpected death forces her out of the comfortable and protective Jewish home where he cared for her, and into a cramped studio apartment in New York City with her college-age younger brother, she must adapt to an entirely different life?one with no safety net. And when her “normal” brother snaps under the pressure and disappears, Lucy discovers that she has more strengths than she herself knew. 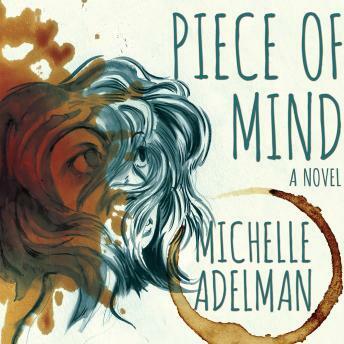 Told with warmth and intelligence, Piece of Mind introduces one of the most endearing and heroic characters in contemporary fiction.